Running should be fun and much more convenient if you have one of the best running waist packs. Top quality running waist packs are loaded with convenient pockets that will provide you with a secure place to keep your items such as phones, keys, medications, credit cards, ID, and money. They are comfortable and very light to the extent that you will not know you have put them on. 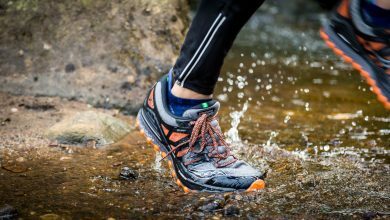 This means with them, you will be able to concentrate more on running and less on the safety of your essentials. In these reviews, we have highlighted them, so you can easily choose what you think will work best for you. WATERFLY understands that life should be enjoyed. That’s why they are thrilled to provide you with this top quality running waist pack. The waist pack is made of polyester, which makes it water-resistant. You can, therefore, keep your stuff with peace of mind knowing that light showers and water splashes will not damage them. It is, however, not advisable to take this waist pack into the water. The polyweb waist belt is adjustable, making the waist bag fit perfectly. Ideally, this waist bag is recommended for waist sizes up to 50 inches. It has one main double zippered compartment, one extra hidden rear zippered pocket, and two extra front pockets. This means you will have plenty of spaces to keep your phone and other items. It is lightweight and works great for both men and women. Get it today and use it for sports or travel. One main problem with most running waist packs is that they tend to bounce around while you are running. But this is not the problem with the FREETOO Running Waist Pack. It features an extremely fitted and earphone design that enables it to sit tight without bumping around while you run. Its strap is adjustable and fits waist sizes ranging from 31 inches to 51 inches. Once it has fitted your waist, the waist pack will stay comfortably and secure even when you are moving. It can keep phones up to 6 inches long. That said, it is great for keeping iPhone 6, 6s, 7, 8, and X (without case). 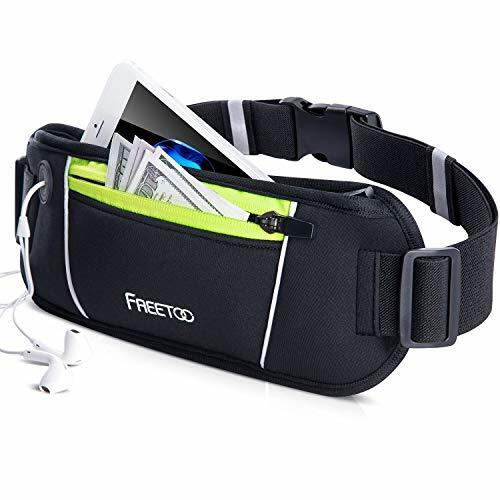 Ideally, the waist pack is available in a large size, which is great for keeping large size phones such as iPhone 6plus, 7plus, 8plus, and X. FREETOO has designed it with versatility in mind, and this makes it perfect for travelers, hikers, and runners. Finally there is a waist pack that is compatible with all kinds of phones! Having said that, this convenient waist bag will work for you whether you have an iPhone, Android or Windows device. It fits waist sizes from 28 inches to 49 inches; thanks to its adjustable and flexible belt. 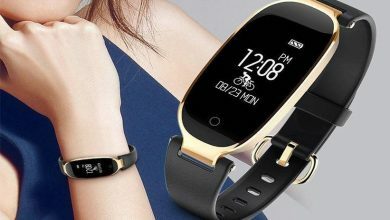 Moreover, it boasts a slimline design that will prevent your stuff from bouncing and moving around while you are jogging, running, walking or traversing obstacles. The material used to make it is neoprene; hence, it is water-resistant. This means your items will stay dry through sleet, mud, snow or rain. The material is also machine washable for easy maintenance, and it can withstand heavy use. This running waist pack comes with a satisfaction guarantee to make sure that you only use what you love. It is great for those with busy lifestyles. UShake products are designed with one aim; to provide you with greater convenience, comfort, and style, so you can enjoy sports to the fullest. This waist pack is one of their products, and it works as expected. It is made out of Nylon/Lycra fabric for stretchable, quick drying, moisture wicking, and great softness against your skin. The fabric is also lightweight to make sure that you do not feel the waist pack when you put it on. 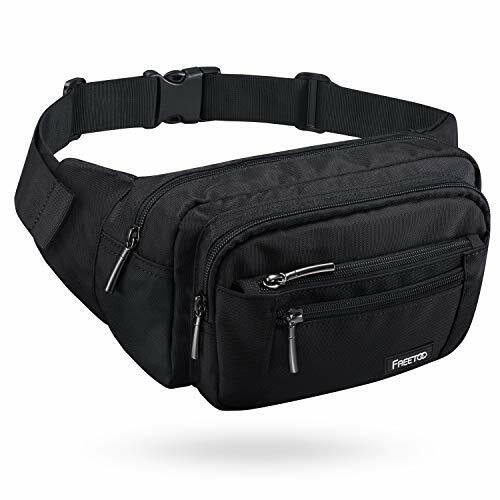 The fully adjustable elastic strap enables the waist pack to fit waist sizes from 25.9 inches to 42 inches. There is also a strong adjustable elastic waistband that ensures bounce free. Overall, this waist pack measures 4.72 inches high by 7.87 inches long. It fits most smartphones including Samsung Galaxy Note Series and Samsung Galaxy Series; LG; SONY, and Apple iPhone 5S, 5C, 6, 6plus, and 7. The 100-percent money back guarantee that this waist pack comes with will give you confidence in purchasing it. Well, it is not just the guarantee that will encourage you to buy the waist pack but also there are lots of impressive features. They include secured four wide pockets with pickpocket-proof fold-over locking flap to keep items secured. This means you can fit your cell phone into the waist bag with peace of mind knowing that no one will make away with it. 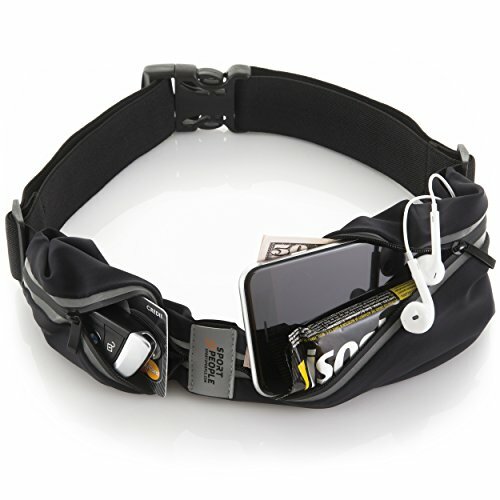 Besides, this running waist pack will let you fit your cell phone either horizontally or vertically. It is also great for keeping money, keys, ID, passports, and other things. It is made of the highest quality fabric, which is soft yet super durable. The fabric wicks moisture away and absorbs sweat to keep your body cool and your phone free from bacteria. 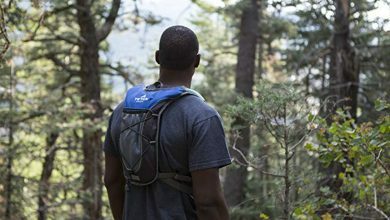 We can stand up and confidently say that very few running waist packs match the durability of the FREETOO Waist Pack Bag. The waist pack bag is made of incredibly strong 1000D polyester; hence, it is super sturdy and built to last. The ruggedness, however, does not interfere with its softness. 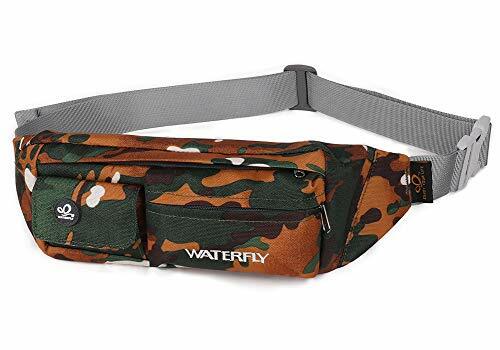 With this in mind, this is the perfect waist pack for your daily errands and outdoor activities such as traveling, biking, hiking, walking, concerts, fairs, festivals, running, and farmers’ markets, among others. 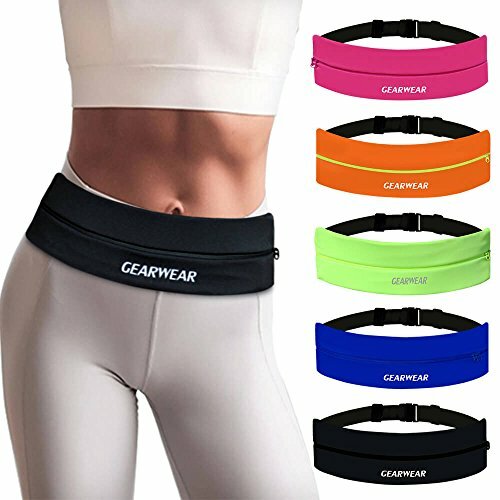 The waist pack has a flexible strap, which features a strong and reliable buckle, and ranges from 30 inches to 42 inches. It also boasts good-sized and elegant zipper pulls. Its five separate zippered compartments are of different sizes, so they can meet all of your needs. The waist pack is available in two different colors (black and grey) to choose from. Convenience will no doubt be taken to another level if you go for this running belt. It fits cell phones up to 6 inches in size. 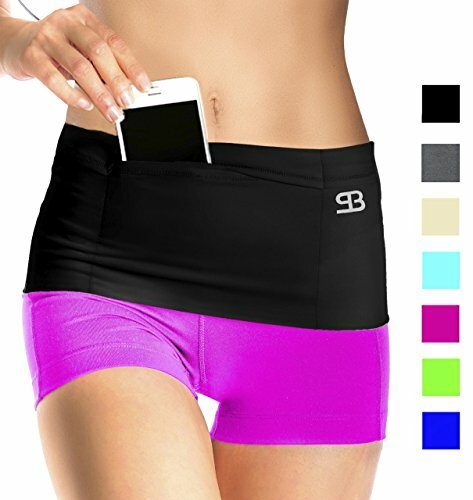 For this reason, it is the go-to running waist pack if you have an Android Galaxy S7, Samsung Note, Android Galaxy Edge, Android Galaxy S8/S9, LG or iPhone X/8+/7+/6s/6+. It fits waist sizes ranging from 29.5 inches to 49 inches; thanks to its buckle. Additionally, this running belt is so comfortable and light that you will keep on forgetting you have put it on. It has a unisex design, which makes it great for women, men, boys, and girls. 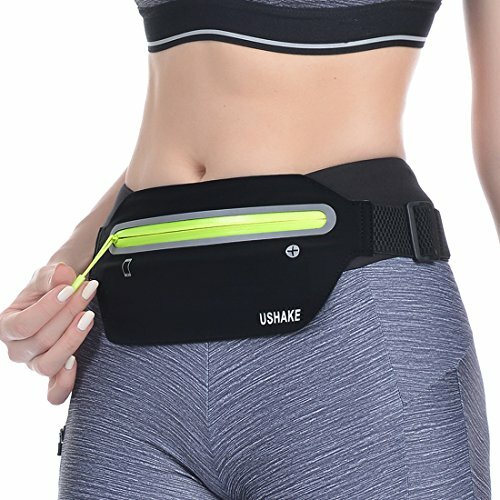 The design is also versatile, and this means you will find the running waist pack ideal for hiking, cycling, walking, yoga exercise, gym workout, and fitness, among others. The belt’s reflective “GEARWEAR” logo will keep you safe at night. 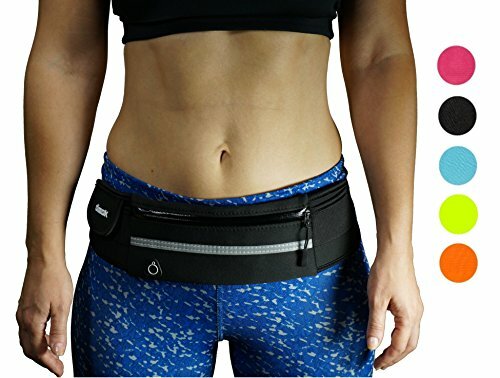 The Sport2People Running Pouch Belt is made for men and women who like to carry their stuff with them while running. It has two pockets that are large enough to carry everything you will need while you are outdoors for a sporting activity. The two pockets are differently sized for maximum convenience. The running waist pack will not rub or bounce while you are on the move. As such, you will concentrate more on your runs and less on the waist pack. It is made of a top quality waterproof material to ensure that your items are not just well kept but also they are dry even in wet weather conditions. The running pouch belt has a special earphones hole, meaning you will be able to listen to music conveniently while you are on the go. This is one running waist pack you will not go wrong with. This is because it is endorsed by Ruben Gonzalez, a four-time Olympian. The waist pack has one of the smartest designs you have ever come across. That being said, it is stylish and sleek; hence, it is not just great for running but also perfect for travel. It also features a smart organizer for keeping credit cards, money, passport, and more. Furthermore, the design enables it to effortlessly hold iPhone 7/7plus/8/8plus/X; Galaxy Note 8/s8; Nexus 6p, and many more. The main zippered pocket of this running waist pack measures 7.5 x 4.33 inches; thus, it can easily fit any large cellphone. The two smaller pouches, on the other hand, measure 4 x 3.5 inches; hence, they are great for keeping Chapstick, keys, gel packs, medications, and makeup. Some people call it running belt while others refer to it as a hiking waist pack. Whatever name you have given it; this travel money belt is the real deal. It boasts a superior design that features three openings and one seamed pocket. This means you will have more than enough space to store all of your items while you are running or traveling.Some of the items you can fit include Samsung Galaxy, iPhone 8+, and any other smartphone. The travel money belt is also great for keeping money and credit cards. Furthermore, it has an insulin pump holder that makes it ideal for diabetics, considering that the holder comfortably holds the t-slim Insulin Pump without the tangling of cords or any hassle. This handy travel money belt is available in three different colors (Midnight Black, Deep Purple, and Navy Blue) and a number of sizes, so you can easily find what best suits your needs. If you cannot make up your mind yet about what to take home, the following factors will really help. The design of a running waist pack plays a key role in helping you get the best out of your running waist pack. With that said, consider a running belt that will not ride while you are on the move. Also, make sure that the design prevents the belt from bouncing or making your stuff move around while you are running or jogging. Choosing a running waist pack with as many pockets as possible is highly recommended. This is because the more the pockets, the more the items you will be able to carry. Ideally, choose a waist pack with differently sized pockets, as this will allow you to carry different items for a convenient running experience. It can really be unfortunate if you buy a waist pack only to realize that it is too small to fit your phone. Therefore, before you make up your mind to buy a waist pack, make sure that its pockets/compartments are large enough to perfectly fit your phone. If possible, pay attention to those waist packs that can fit up to a 6” phone, given that most devices do not exceed this size. Can I still buy a waist pack even when I’m on a budget? Of course, you can! 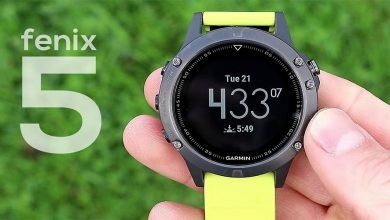 Most running waist packs (like the ones in these reviews) are all within an affordable range yet they will provide you with the performance you are looking for. What is the best material for making a waist pack? A waist pack should be made of a material that is comfortable, lightweight, and capable of wicking moisture away. What’s the importance of having a waist pack with reflective stripes? Reflective stripes are particularly handy if you like running at night. It illuminates light, which makes you visible by motorists. By so doing, it helps keep you safe. In our opinion, a running waist pack is a necessity for every runner. It is also recommended for hikers and travelers. It provides lots of space for keeping your items while you are on the go. Nevertheless, getting a suitable one can be more difficult than expected because of the innumerable brands. That’s why you need to check out the above reviews before you storm the market.